With over 100 beaches and beautiful weather almost all year round, Sydney, Australia is defined by its picturesque coastline and the Sydney Opera House – often the VSCO-filtered subject of Instagram’s favorite urban photographers. Within the landmark, cutting edge artists showcase Sydney’s multicultural makeup, from indigenous art exhibitions to Ta-ku’s 50-piece Sydney Symphony Orchestra debut this June. Music festivals such as Laneway, Stereosonic and Splendour in the Grass have made the bucket lists of many, solidifying the city as the Southern Hemisphere’s musical hub. Aside from sounds, Sydney is also a hotspot for streetwear and fashion. The city’s hip Surry Hills neighborhood played host to Nike’s recent Air Max Day celebrations, with some of Australia’s biggest sneaker aficionados showing off their kicks. 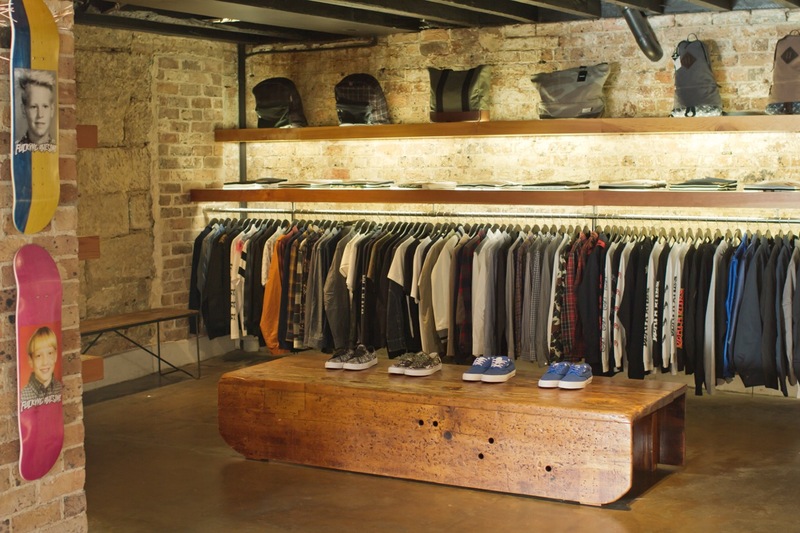 The city also serves as home to stunning boutiques pushing the boundaries of HYPEBEAST’s culture, such as Sneakerbo, Capsule Store and Supply Store. For our guide, we’ve enlisted seven influential Sydneysiders who have unveiled their favorite spots for an authentic Aussie experience. From renowned fashion blogger Margaret Zhang, to Song for the Mute founder and designer Melvin Tanaya, we also have Supply Store‘s founder and HYPEBEAST 100 entry Shawn Yates and Sneakerboy’s Creative Director Chris Kyvetos. We’ve also asked I Dig Your Sole Man photographer and founder Lester Jones, food blogger Natalie Sum, and photographer Denise Kwong for a well-rounded mix of must-see spots and recommendations. I think anywhere in Sydney’s central business district (CBD) is good to stay. Sydney is a really walkable city and it’s easy to get around. Easy to get to inner city Darlinghurst, Surry Hills etc. by foot and spots like Newtown and Bondi are pretty close by bus or train. I have heard good things about Ovolo 1888. It is apparently very “Instagrammable” so I guess it’s worth looking into when planning accommodation. If not, AirBnB is usually my go-to when I travel within Australia. The Palisades Hotel is our best kept secret. It’s in the Rocks, with the most incredible views of the harbour with super easygoing, beautifully designed rooms. The QT Boutique hotels offer contemporary luxe and styling with great locations in both Bondi Beach and Sydney City. I prefer little boutique hotels to the larger hotel chains. They are beautifully decorated, full of character and many photo taking opportunities before having to set foot outside. I love the the Old Clare Hotel, which is located close to the hip suburb of Surry Hills (a food haven) and Chinatown – perfect for late night dining. The hotel is relatively new complete with rooftop pool and rooms with freestanding bathtubs. Amazing restaurants can be found along the paved road underneath. The Park Hyatt. It offers stunning views of the Sydney Opera House and can’t be compared in terms of quality. Both my friend Luca, who happens to be the Commercial Director for Rick Owens, and DJ Sven Vath who is the God of German Techno, always tend to stay over at the Park Hyatt whenever they are in town. Been shopping at Utopia Records since I was a teenager in the late 1980s. It’s Sydney’s original and best heavy metal shop. Essential if you’re into any forms of heavy music. Rad second hand section also. For clothing – INCU is great for designer stuff. PAM Store too. I would say Pitt Street Mall would be a good starting point if you want to shop as it’s got basically everything you’ll need. Paddington’s Oxford Street is also worth checking out if you are after local boutique stores and Australian labels. 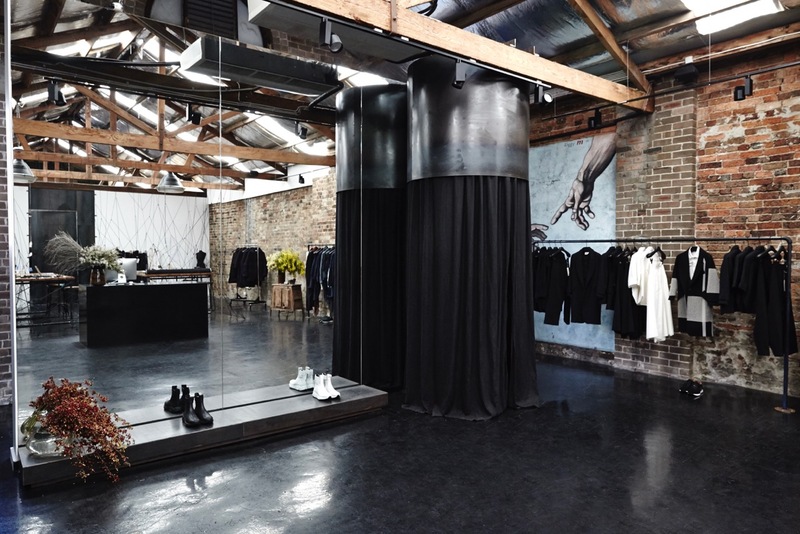 Parlour X is such a beautiful retail concept built into an old church on Oxford Street in Paddington, and definitely has one of the best product curations I’ve seen. It’s hard to choose just one, so it’s a 4-way tie between Supply Store, Sneakerboy, INCU and Harrolds which all combine impeccable styling with great product. Paris Texas is a cute little boutique shop tucked away on Bourkest and sells clothes and accessories from some of the best local Australian designers. Conveniently all in one place, one can almost consider it a taste tester – you won’t have to trek through every rack of every shop to find what you like. Paris Texas has done the hard work for you. Oh and Bourke Street Bakery is around the corner on Devonshire St. Added bonus. Then there are the weekend markets – Paddington Markets on every Saturday, Bondi Markets on every Sunday and Pitt St Mall market. These are great for new local designers – you will find amazing accessories, jewellery, clothing and knick knacks. Shameless self promotion – but if you’re a fan of our brand or even if you have the slightest interest in unique fabrications, we’d recommend to visit our Song for the Mute Flagship Store in Glebe. Located not too far away from the city – in our atelier/store, clients get to see how we put things together from A to Z. 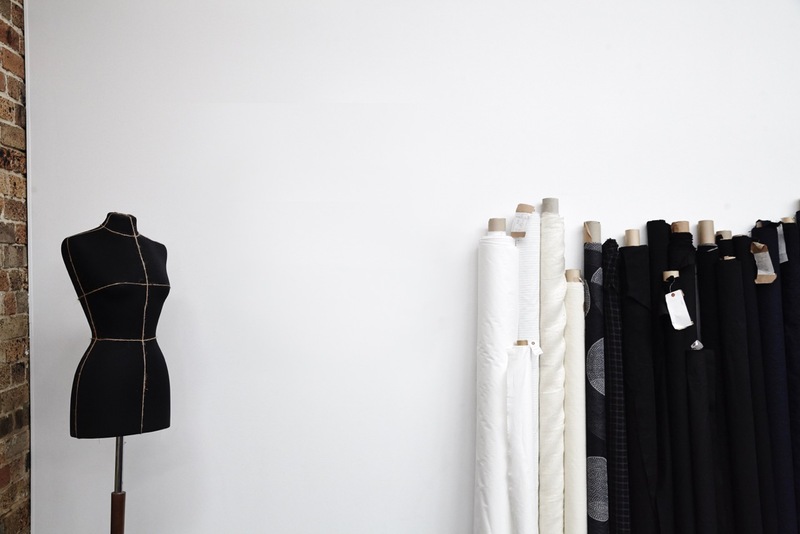 From raw fabrics to sample prototypes to the finished product – all on display. You’ll get to meet the whole team behind the SFTM brand too! We would also definitely put Harrolds on the list of the ‘must visit’ store when you’re in Sydney. Probably one of the few shops that carry all the luxury labels you can think of. From Tom Ford, Thom Browne and Saint Laurent all the way to brands like SFTM, Craig Green and Rick Owens. This place has it all. They’ve got Chinese speaking staff too so that comes in handy! PIECES located on Goulbourn St in Chinatown would also be a good shop to visit. They probably have an even better brand list on paper, but beware that this shop is geared severely to Asian clients. Don’t expect crazy service but their selection is HUGE. Oh and did we mention that they also stock SFTM? Taronga Zoo. I try and take any out of town visitors here. You can’t get a better view of Sydney city and the harbor than from here. Also, Sydney beaches in general are some of the best in the world and worth visiting. Sydney Opera House. Duh! It’s a generic recommendation but this multi-venue performing arts centre is iconic for a reason and is definitely a must visit. My favorite spot to view it though is actually across the waters in Kirribilli at the wharf, which is just a short stroll away from Milsons Point station if you’re taking public transport. I love this vantage point as you also get the view of the Harbour Bridge. Mrs. Macquarie’s Chair is another excellent lookout for this. Now, no trip is Sydney is complete without a visit to one of the city’s beautiful beaches. Spend a day at Bondi Beach soaking up the sun after feeding your belly at one of the many great cafes nearby (the ricotta hotcake at Harry’s is to die for!) I would also recommend either Taronga Zoo or Featherdale Wildlife park where you get to hang out with adorable koala bears and wallabies! Bronte Beach is so underrated – the ocean pool there is my favourite sunset spot in Sydney. Bondi Beach. I moved to Australia 8 years ago as someone who didn’t really do beaches. Bondi Beach has changed all that though, and I would urge tourists to check it out, especially early morning or late afternoon when the light is incredible. The Bridge Climb is near Sydney’s CBD and offers an opportunity to walk on top of one of Australia’s most iconic monuments… and to see Sydney Harbour from this vantage point is pretty exhilarating and amazing. If you’re willing to travel out a little further, then a trip to the Blue Mountains is a must. The Three Sisters in Katoomba is the most well known tourist spot but explore the whole area. There are so many walks (with various levels of difficulty) to partake on – some will take you on a loop, others will lead to waterfalls – take as long or as little time as you please. Govetts Leap is a good spot to visit. The walks are optional. You can just park up at the top and check out the view. If you do decide to make your way up to the Blue Mountains try to find a good vantage point and stay till sunset. The Sydney Opera House or harbour bridge, and I have to mention Sydney fish market. Probably the Blue Mountains. There is more to Blue Mountains than just the “Three Sisters”. Not far off you can go for mysterious walking trails at “Leura Cascades”, explore the glow- worm tunnels in Lithgow, or for the more adventurous, canyoning at Wentworth Falls. The west. Western Sydney has so many great and diverse suburbs out of the city. If you have the chance and especially for more hidden food spots places like Cabramatta, Granville, Auburn have some of Sydney’s best / most authentic food. Having lived in the Innerwest for the past five years, I’d say Newtown is one of the best places to see the non-touristy side of Sydney. King Street, the main street in Newtown, is arguably the best preserved Victorian high street in town. There, you will find a mix of vintage clothing stores, second-hand book shops, cafes, many, many Thai restaurants, bars, Victorian terraces, and just an assortment of odd quirky little places. On weekends, there are regular markets on in nearby suburbs like Glebe and Eveleigh; fun places to shop for unusual finds and often great bargains! I highly recommend going to a more boutique art gallery like White Rabbit Gallery – it always houses such interesting up-and-coming artists alongside very established names. Plus, there are great tea and scones, and dumplings downstairs. The Manly Ferry. Jump on this from Circular Quay and take in epic views of the Harbour Bridge and the Opera House from the water. Bradleys Head Amphitheatre. Grab a rug, pack a picnic and watch the sunset from this lookout.Located on the north side of Sydney, you get views of the Sydney Harbour Bridge, Centrepoint Tower and Sydney Opera House. Situated within the Sydney Harbour National Park, there are also some lovely bushwalks to go on along Bradleys Head. Not too far from Taronga Zoo either so why not make the day of it first with a zoo visit then see out the day at this lovely spot. Go have a walk at Watsons Bay, the best escape away from busy Sydney. If you don’t feel like driving too far to the Blue Mountains – Wattamolla national park is our go to place. With its waterfalls and lagoons, it is a real natural beauty. There are cliffs that are barely crowded, which can be accessed by only a short walk through the bush. A botanical twist to your run. Take a tour of the design process with Pharrell. Celebrating 1 million followers on SoundCloud with a brand new song.